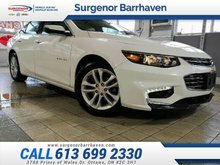 The 2014 Chevrolet Impala doesn't only offer great value, it also has an abundance of interior space, family-friendly features and top safety and reliability ratings. 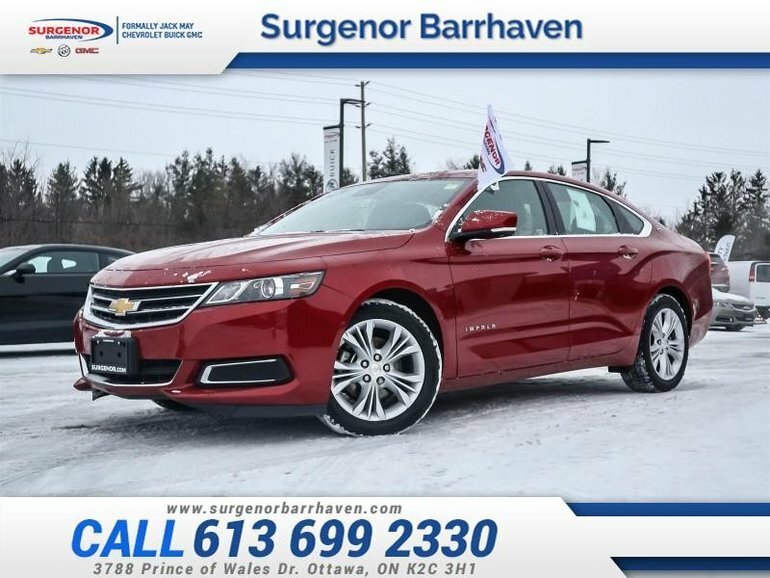 This 2014 Chevrolet Impala is for sale today in Ottawa. All new for 2014, the Chevrolet Impala is a fully modern car, with a gorgeous new exterior, a spacious, well-built cabin, a comfortable ride, and a host of new tech features. Chevy Impala is not only roomy, it finally has the composed ride and precise steering you expect in a modern sedan. It deserves consideration if you're shopping for a full-size sedan. This sedan has 77158 kms. It's crystal red tintcoat in colour and is completely accident free based on the CARFAX Report. It has an automatic transmission and is powered by a 3.6L V6 24V GDI DOHC Flexible Fuel engine. 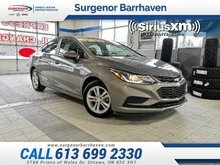 This vehicle has been upgraded with the following features: Bluetooth, Siriusxm, Aluminum Wheels. Our Impala's trim level is 2LT. The 1LT trim adds some nice features to this Impala. Some of those features include the MyLink infotainment system with an 8-inch color touchscreen, Bluetooth, SiriusXM, USB ports, and an SD card reader, dual-zone automatic climate control, premium cloth/leatherette seats, dual-outlet exhaust, ten airbags, air conditioning, cruise control, aluminum wheels, and much more. 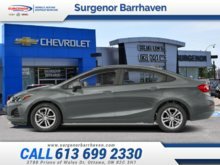 Buy this vehicle now for the lowest bi-weekly payment of $112.99 with $0 down for 84 months @ 6.99% APR O.A.C. ( Plus applicable taxes - Plus applicable fees ). See dealer for details. 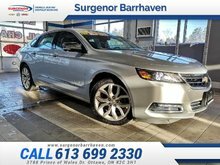 Interested in the 2014 Chevrolet Impala 2LT - Bluetooth - SiriusXM - $112.99 B/W ?